When they unplugged our dna down from twelve strands to two strands , they programmed us into the lower matrix. We live in a holographic reality that is being controlled not by us, but by them. What we see in our DNA is a program existing of two versions, a big code and a basic code – …………. can this what they call junk dna actually be some form of programing code that keep humans captivated in this state of 2 dna strand of the mind……. is there a force or program code or a matrix…………. 2 dna strand and 3 dimiensional reality……….. Predatory Gangstalking is a criminal phenomenon referring to a group of loosely affiliated people who, in an organised and systematic manner, relentlessly invade all areas of an individual’s life on a continuing basis, as part of their lifestyle. 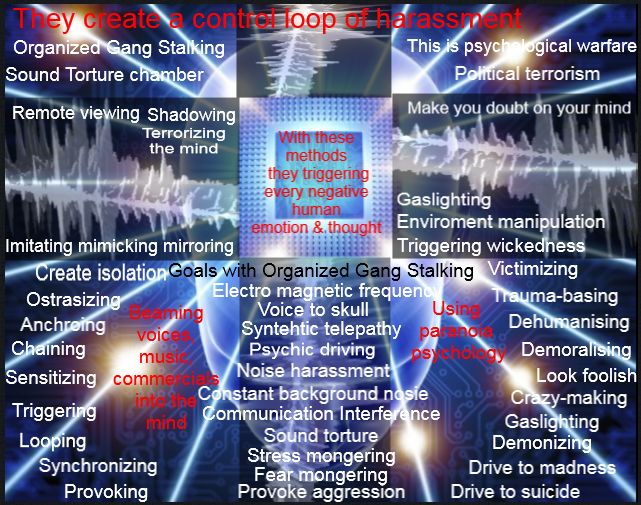 While each individual gangstalker does his or her small part, what defines Predatory Gangstalking is the collective intent to do harm. 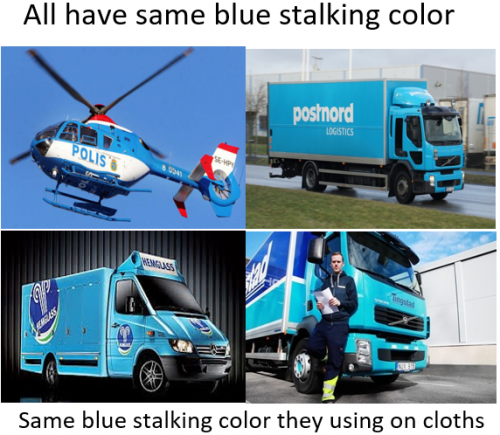 When the evil of darkness can control human in same way as before they have developed same technology as they have control humanity before; that´s why all organized gang stalking methods and evil (Satan) of darkness using same mtehods. In summation, the three main Masonic endeavors are as follows: becoming one with Satan, practicing blasphemous witchcraft, and bringing forth the evil New World Order plan to the earth. Using the pyramid as an allegory, the Masons have built a global empire by placing their people into the capstones (top) of said organizations. By controlling the capstones of financial and media corporations, government organizations, think tanks, roundtable organizations, religions, street gangs, etc., the Freemasons have been able to consolidate the world under their Satanic pyramid of control. This is the true meaning of the Eye of Horus, which appears at the top of the Masonic pyramid. Having infiltrated the world’s economic, political, and religious organizations; ergo, having secretly taken over the world, the Freemasons are logically in possession of this book. It is no coincidence that they are the world’s most prominent religious sect that follows the Egyptian mysteries. It seems that those who possess Satan’s coveted book of witchcraft have held it in unbroken succession since Thoth’s appearance in 40,000 BC. It is reasonable to assume by extension that this select group of people has held an unfair advantage over the rest of humanity and has used this book to bewitch us under a barrage of Satanic magic and deception. Apparently, the Book of Thoth is the world’s Satanic Holy Grail, the key to power and influence on the earth, and it is utilized by the solar Luciferians to keep humanity enslaved via its matrix of deceptions and altered reality. LET’S GO STRAIGHT to the endgame… Supposing that the Masonic Illuminati are in fact the overlords of the earth who are secretly following the teachings of Thoth, what is their ultimate purpose? Well, it’s pretty straightforward: the Illuminati seek to impose upon the inhabitants of the earth a corporate-controlled world dictatorship with a one-world government, one-world currency, and one-world religion in honor of Lucifer.